Ernest R. Ulmer age 90 of Lincoln, formerly of Dawson, NE. Passed away Saturday, February 25, at the Gateway Senior Living Center in Lincoln, NE. A funeral service for Ernest Ulmer will be held Saturday, March 3, at 10:30 a.m. at the Methodist Church in Humboldt, NE. Burial will follow at the Hiem Cemetery near Dawson, NE. Military Graveside Honor will be provided by the Humboldt American Legion Honor Guard and the Army National Guard Honor Guard. No viewing or visitation is scheduled for Ernest Ulmer. Ernest Ulmer was born May 18, 1921, in the home of Reuben and True Ulmer north of Dawson, Nebraska. He began his study of piano at the age of three with his mother and the study of violin at age 7 with his father. He attended Peru State College with his two sisters in 1938 for one year. The following year he stayed home. In 1940, he began piano studies under Earnest Harrison at the University of Nebraska in Lincoln. While there he also studied violin and organ. He obtained a bachelor’s degree in abstentia, graduating two months early so he could go to the Army. He was drafted into the Army in March of 1943 and attended basic training at Camp Roberts in California before being transferred to Ft. Custer, Michigan. In January of 1944 he was sent overseas, serving in France, Germany, Belgium and England for two years, landing on Normandy Beach 6 days after D-Day. Following the war, he studied at Trinity College in London with Nicolas Medtner and Marguerite Wolfe while awaiting passage to the United States. He was honorably discharged in 1946 from the Army. When he returned to the States, he attended the University of Nebraska at Lincoln and received his Masters’ degree in 1947. Subsequently in 1947 under the GI bill, he studied at Manhattan School of Music in New York under Harold Bauer and Dora Zaslavsky, and in Paris during the summer of 1948 with Robert Casadesus and at the Paris Conservatoire in 1948-1949. While at the Conservatoire, he was awarded a Premier Prix in piano. a collection of Ernest’s letters to Boulanger were privately published in France with the title, “Spet lettres de Ernest Ulmer a Nadia Boulanger, 1959-1979.” He also made frequent appearances with the conducting class of Eugene Bigot. He returned to New York in 1949 as a student at Manhattan School of Music, and received his Masters’ Degree prior to teaching there. He became a professor of piano at Manhattan School of Music in 1956 and served as Co-Coordinator of the Piano Major Department starting in 1965. He taught there for 34 years prior to his retirement in 1990. 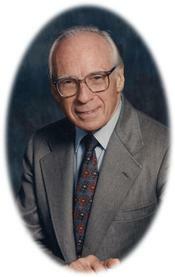 In 1991 he received a Distinguished Faculty Citation from the school. His debut performance in New York City was in 1950 and throughout his career he played numerous concerts in New York City at Manhattan School of Music, Town Hall (initially in 1954, “the place” to perform solo in New York City at that time), Kaufman Auditorium, two concerts at Carnegie Recital Hall, as well as concerts in the major capitals of Europe (1957-1958) and in southeast Nebraska. On March 9, 1960, the New York Times described his performance of the night before as “brilliant,” “meticulous as to detail and performed with much grace.” His playing was also described as “quite delightful.” He was also invited to perform concertos with various local and regional orchestras during a period when every city in the United States of any size had a first rate orchestra. In addition to his tours as a soloist, Mr. Ulmer toured the United States with chamber ensembles and the Robert Shaw Chorale (1951-1952). He was an accompanist for Ruggiero Ricci, Cleve Genzlinger, Carol Feurer, and Mrs. Ruth Lloyd (mother of actor Christopher Lloyd and Sam Lloyd). He made ensemble appearances with Camilla Wicks and the Manhattan Trio, of which he was a founding member in 1952. The two other members were Manhattan School colleagues, violinist Oliver Colbentson and cellist David Wells. The Trio regularly performed live concerts on the radio in the 1950’s. His favorite composer was Claude Debussy and he recorded the Debussy Violin Sonata with Oliver Colbentson for Concert Hall Records and in 1979, Ernest recorded his only solo album, a complete recording of Debussy’s two books of Preludes for piano solo on Protone records. Stereo Review described the latter recording as “a major contender among the fine recordings of these works.” He also received a rave review from Harris Goldsmith in High Fidelity magazine. In 1988, the Vantage Press published Ernest’s book on piano technique, A New Approach to Piano Technique for the Serious Musician. In 1993-1994 he traveled to Japan, where he taught piano at Kobe College for Women for a year before returning to the United States. Ernest was known as a French specialist, frequently performing the music of Debussy and Ravel, but his favorite composers included the three B’s, Bach, Beethoven, and Brahms. Like many other musicians, Ernest was dazzled by Bach’s compositional technique and he studied the contrapuntal writing in the two books of Bach’s The Well Tempered Clavier in microscopic detail. He also arranged some of Bach’s organ compositions for the piano. In the summers of the early 1980’s, he traveled throughout Spain, Italy, and Switzerland with his good friend Don Edman, another American pianist trained in Paris. They met in Manhattan in the early 1950’s. They were lifelong friends. Ernest’s friends included artists, musicians, writers, and intellectuals who met at the home of painter John Koch and his wife, Dora Zaslavsky, a noted piano coach under whom Ernest studied. Ernest indicated he became acquainted with this couple through his friend, Mrs. Lloyd. Ernest was actually featured in several of Mr. Koch’s paintings, one of which hung in his own living room for many years. In 2007 he donated this painting to the Metropolitan Museum of Art in New York City. The paintings he owned at one time were featured in a showing at a New York gallery in the late 1990’s, and in a book published about Mr. Koch. He also collected paintings by Jean Minard and Maurice Grosser. In addition to art, he collected matchbooks, stamps and coins from all over the world. He took numerous pictures while traveling in Europe. Ernest moved to Florida in 1995 to enjoy his retirement years, continuing to perform when requested for friends. He returned to Nebraska in 2003 to be closer to family. His family frequently requested performance of “The Canary,” a piece he composed, as well as many others. After being in ill health for several years, Ernest died peacefully in his room at Gateway Senior Living in Lincoln, Nebraska on February 25, 2012. Ernest was preceded in death by his parents, and two sisters Evelyn Ulmer and Lorraine Shorney. He is survived by his sisters Sylvia Anderson of Sprigfield, MO; Marian Leatherman of Dawson, NE; Nadine Hill of Gresham, OR; nieces, nephews other relatives and friends. The days are long but made much shorter knowing you in my heart. Just as the days of a flower are spent in preparation, growing deeper so the blossom can be even more beautiful-just for you. The footprint you placed in my soul brings joy that can never be taken away. And now that distance separates, makes the past so much more precious bringing life into my soul. Counting the ways as each step is taken toward THE DAY of our rejoicing! Hall Funeral Chapel of Auburn, NE is in charge of arrangements for Ernest R. Ulmer.